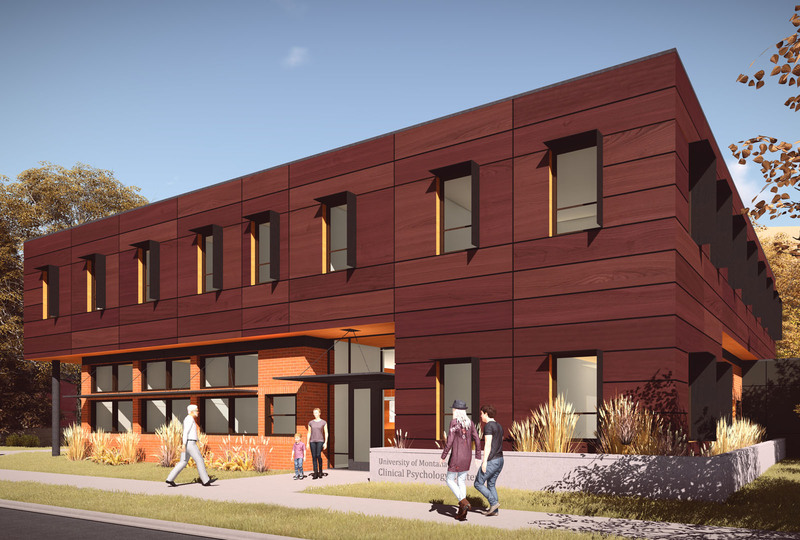 The Clinical Psychology Center (CPC) serves both as a training facility for University of Montana students and as a mental and behavioral health center for the Missoula community. MMW worked closely with the Psychology Department to evaluate the current facility and to design an expansion that adds space and simultaneously fixes the deficiencies of the existing layout. 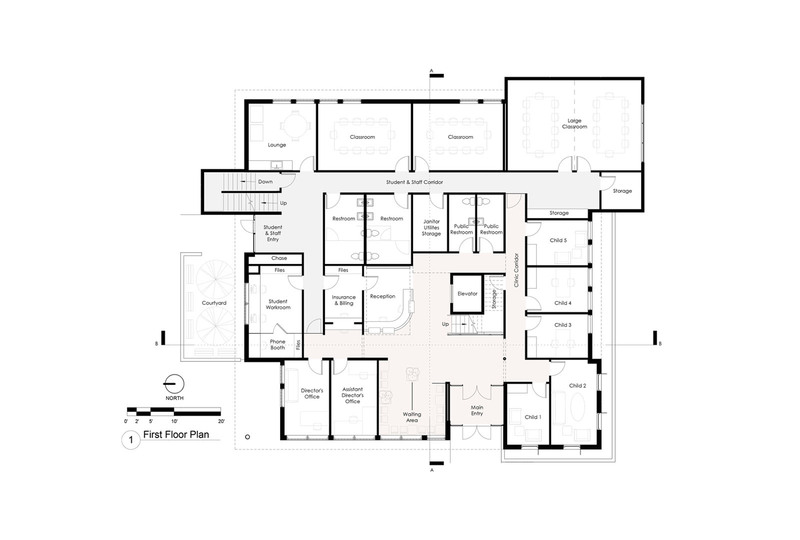 The expansion would improve the entry for the clinic area and would reorganize functions in the building to provide better separation between classroom activities and clinical/research spaces. 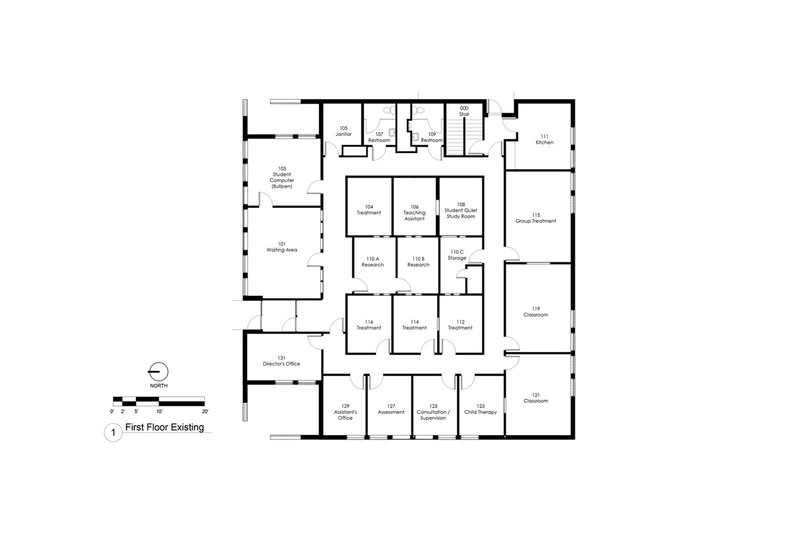 The existing center is a one-story building with a floor area of 5,031 square feet. 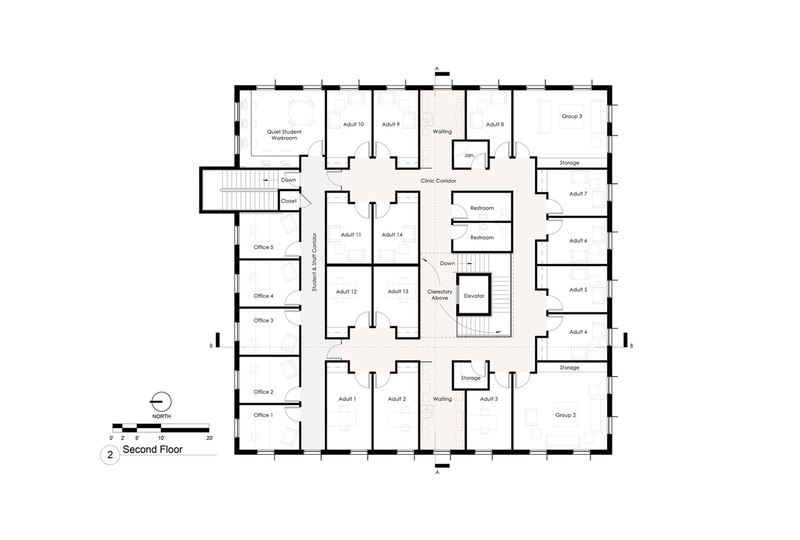 The proposed design would renovate the entire first floor and add a second floor, more than doubling the building area. The remodel gives the CPC a new presence on campus and will increase its visibility and appeal to clients, students, staff, and faculty. 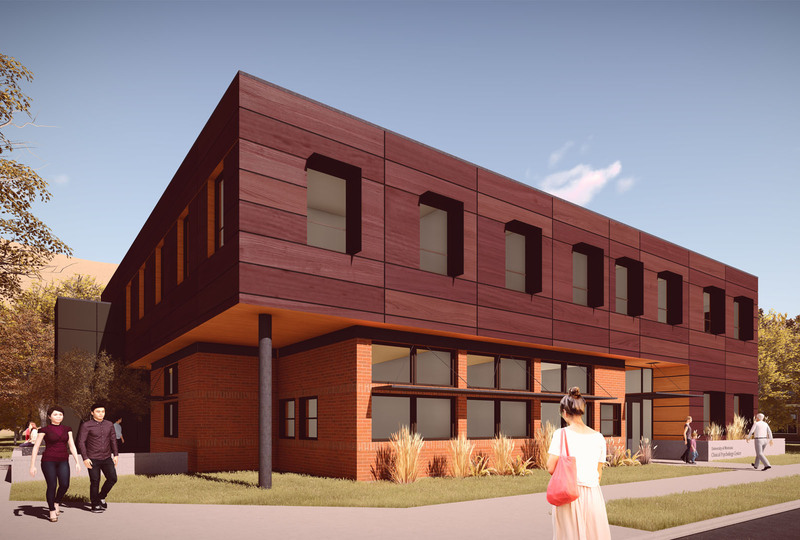 Composite wood siding panels clad the second floor and wrap down to fill a void in the southwest corner of the original building. The panels were chosen for their natural warm, rich variegated texture which complements the existing brick. Lighter toned composite wood panels are used adjacent to the entrance and on the exterior soffits to highlight volumetric shifts. Natural light, wood panels, and frosted glass help the interior of the new CPC to strike a delicate balance between warmth, comfort, openness and professionalism. A frosted white glass wall at the entry greets clients and screens the main staircase while allowing natural light from the clerestory windows above to filter down into the lobby and reception. 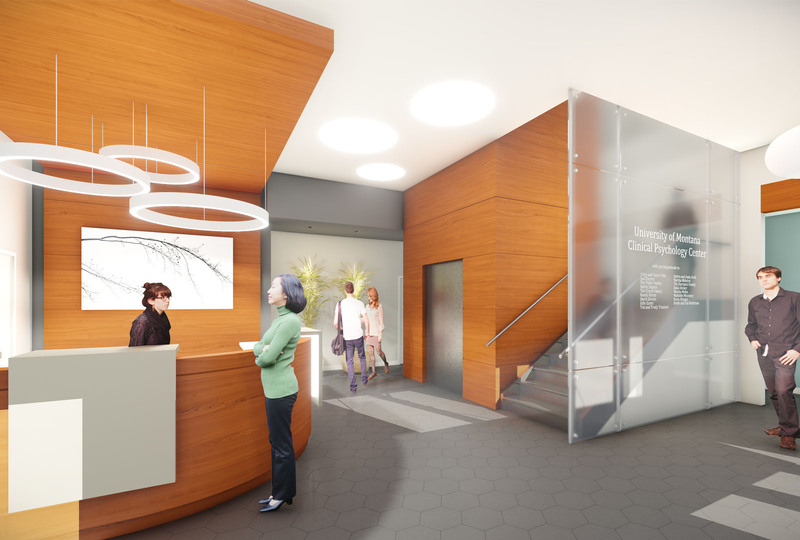 Frameless, frosted glass walls and doors are used to separate the clinic corridors from the student/staff corridors. Frosted glass fin walls in the waiting areas provide privacy and are a consistent medium for signage and naming opportunities.